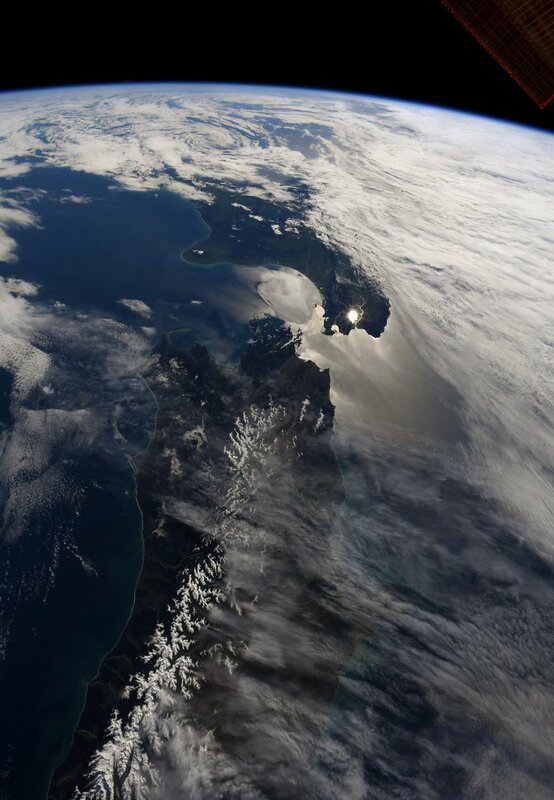 U.S. Astronaut Ricky Arnold: "The early morning sun illuminates Cook Strait between the North and South Islands of New Zealand." Cook Strait (Māori: Te Moana-o-Raukawa) lies between the North and South Islands of New Zealand. It connects the Tasman Sea on the northwest with the South Pacific Ocean on the southeast, and runs next to the capital city, Wellington. It is 22 kilometers (14 mi) wide at its narrowest point, and is considered one of the most dangerous and unpredictable waters in the world.